In order to be able to see where new subscribes come from we have added the field reference. You can add information about in which situation the subscriber has signed up and we provide you with statistics for references. This lets you know what kind of subscribtion process that works best. The reference lets you see wether the signup form on the frontpage of your webshop gives more subscribers than the form in the checkout process and thereby see where you should try a new strategy. 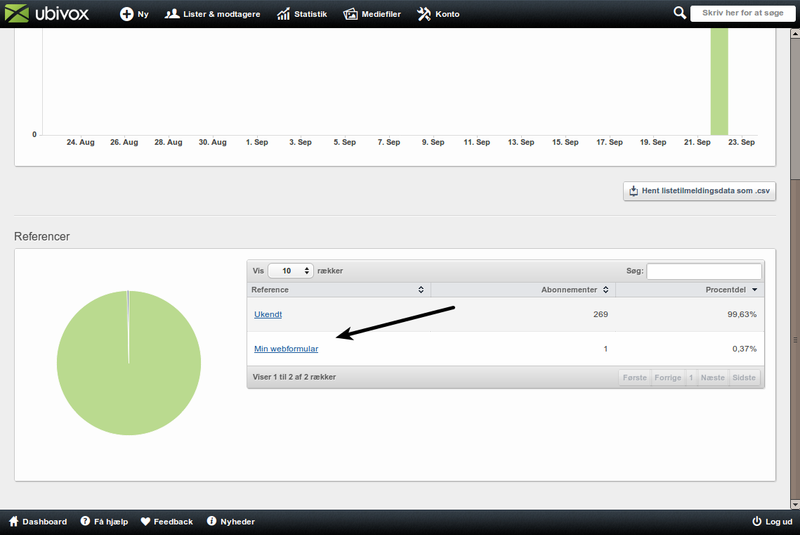 You can also see how many signups a form on a campaign site gives so you can mesure the results of a campaign. When this is done My web form will be added to every subscriber signing up via the form. The lists statistics page (which you find by clicking the name of the list from the Dashboard, selecting List Menu and choosing List Statistics) gives you statistics for references.